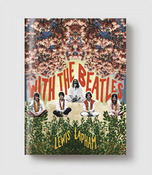 The place where the swinging sixties started – Liverpool, England, birthplace of the Beatles – wasn’t so swinging. Amid industrial blight and a bad economy, the port town’s shipping industry was going bust and there was widespread unemployment, with no assistance from a government tightening its belt. Even the Beatles moved to London. Into these hard times walked Bill Shankly, a former Scottish coal miner who took over the city’s perpetually last-place soccer team. He had a straightforward work ethic and a favorite song – a silly pop song done by a local band, “You’ll Never Walk Alone.” Soon he would have entire stadiums singing along, tens of thousands of people all dressed in the team color red . . . as Liverpool began to win . . . And soon, too, there was something else those thousands of people would chant as one: Shank-lee, Shank-lee . . . In Red or Dead, the acclaimed writer David Peace tells the stirring story of the real-life working-class hero who lifted the spirits of an entire city in turbulent times. 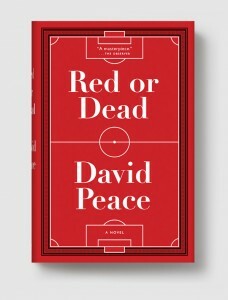 But Red or Dead is more than a fictional biography of a real man, and more than a thrilling novel about sports. It is an epic novel that transcends those categories, until there’s nothing left to call it but – as many of the world’s leading newspapers already have – a masterpiece. DAVID PEACE—named in 2003 one of Granta’s Best of Young Novelists—is the acclaimed author of the Red Riding Quarter (1974, 1977, 1980, and 1983), which was adapted into a BBC television series that was released theatrically in the United States, and is currently being adapted into a major motion picture directed by Ridley Scott. 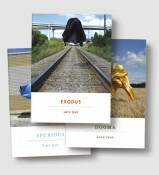 Peace is also the author of the highly praised Tokyo Trilogy, which so far includes Tokyo Year Zero and Occupied City. His book, GB84, was awareded the James Tait Black Memorial Prize, and The Damned Utd was called “probably the best novel ever written about sport” by The Times (UK). His newest book, Red or Dead, was shortlisted for the UK’s prestigious Goldsmith’s Prize.